Back in Pokemon Sun & Moon, a player could obtain Magearna by scanning one of the three codes above with their QR Scanner. 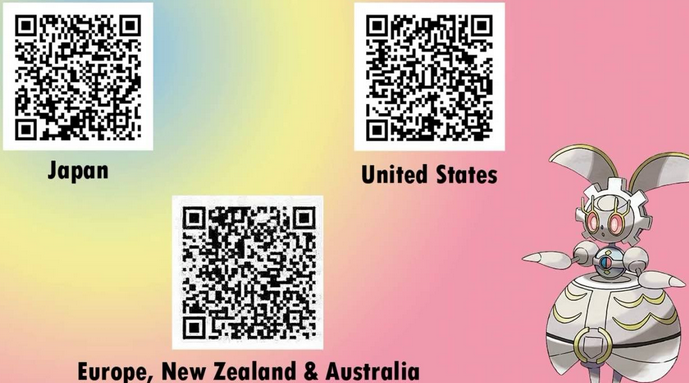 But did you know that these given QR Codes can also get you Magearna in Pokemon Ultra Sun & Ultra Moon? That's right! Should you do that very thing after defeating the Pokemon League for the very first time, you can pick up your free Magearna from the deliveryman in the Antique Mall found in Hau'oli City.